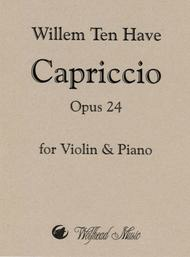 Composed by Willem Ten Have. Edited by John Craton. Chamber music. 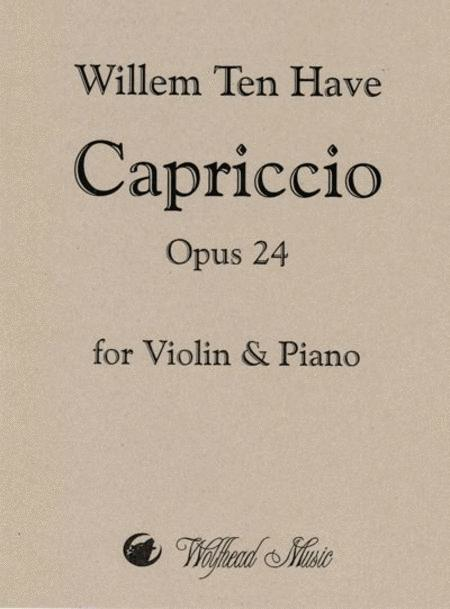 Capriccio for violin and piano. Late Romantic. Score and part. Duration 6 minutes. Published by Wolfhead Music (WF.WM541). Although Ten Have's Allegro brilliante is his best known work, he composed roughly 40 other significant works for violin, of which the Capriccio is one of the most charming. This edition is edited by John Craton.